We started this site in July, so this is our first holiday season. Our family always takes a holiday picture. 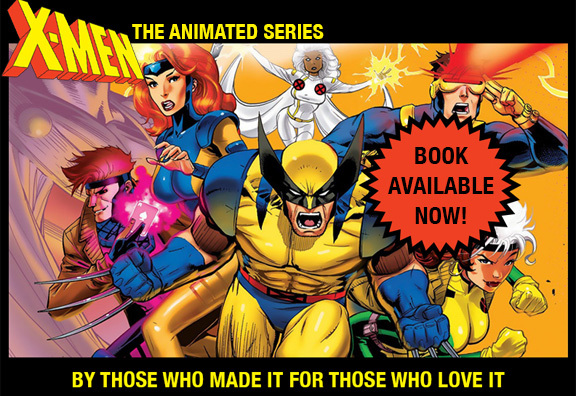 This year we celebrate X-MEN, a larger family that has given us so much over the years. You can see in the photo that the extended Lewald family are all fans, espcially our niece, who is helping us on the X-MEN:TAS book. Please forgive the infrequent posts this month: there is always more to do over the holidays than you plan for. Best wishes from the xmentas.com crew, and here’s to an X-ceptional 2017. Eric & Julia. ← “ROGUE ONE?” Yes, She Is. Happy Holidays to you as well! Will this upcoming book have any pictures or colored model sheets of major characters?! Yes, pictures and board pages and lots of photos of the voice cast and crew behind the show. Wow that is awesome! I have always wanted a book that had those colored model sheets of the characters in their uniforms (almost like a guidebook of sorts). The behind the scenes photos will also be appreciated. This show was my most prized childhood memory and I loved everything about it from the animation style, the music and specific character themes (still wish a CD was available that included all the music scores used in so many episodes), the voice acting, storylines, etc. All 76 episodes are embedded in my memory. I never had many friends so X-Men was what I had to look forward to every Saturday. When the show ended, it was like saying goodbye to my best friend. This book will be a fascinating read! Thank you for all you did and for making the book a reality.